At the Mogul Room you can enjoy authentic Indian cuisine and a range of drinks in a relaxed environment. Do you work at Mogul Room? What did you think of Mogul Room? The food here was really tasty, just the way I like it. A fantastic restaurant! I have been living in sheffield for a year now and my family came over for my daughters 16th. Last friday night we took them out to Mogul Room and it was a great experience! The food was just to our liking and the staff couldn't have been more helpful. my parents really really enjoyed themselves and it completed a perfect weekend for us all so thank you Mogul room! we will definitely be returning. A truly lovely experience at the mogul room, delicious food, friendly staff and great area to visit. will certainly be back. Awful, awful, awful! 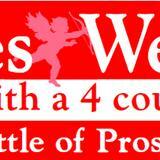 Staff were very rude and confrontational after a simple complaint about service. The service was slow with a lack of care towards customers, they were too busy flirting with one another to see to our table and when they eventually came over and we asked for dessert menu it turned out they had no desserts! Actually became quite aggressive as we left and reduced the girl's whose birthday we were supposed to be celebrating to tears. Would never go back there! Just wanted to say a huge thank you to all the staff for being so nice to me and and family, it was my 30th yesterday and we all enjoyed it immensely. Sadly I won't be able to have my 31st next year with you because I leave for a new life in Austrialia this month. Great restaurant , good luck always, you deserve it! The worst experience I have ever had in a restaurant in my life! The service was absolutely terrible and it wasn't even busy! Had to ask 3 times just for a jug of water! And to make it even worse, when a complaint was made the staff instantly jumped on the defensive and were very rude - reducing a member of our party to tears. When asked for the managers name waiter claimed he did not know it but when asked how long he had worked there he answered 3 years. Seriously? Would not recommend to anyone! 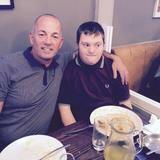 First visit to Sheffield restaurant and had a great night. Great food, great staff Ebz and Ibby made us very welcome. Only disappoint and danger was the slippy floor, even for the men in flats. Appears to be really greasy, my friend slipped and has made a real mess of her arm. Get the floor up-to scratch and we will be back. 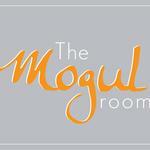 I made my first visit to Mogul Room having read some of the reviews here. Friends of mine regularly dine there and have recommended we go, however because we live a fair distance away, my wife and I have always remained local and as lovely as it is I must say the Mogul Room was fantastic tonight, really was! And to think its a Monday evening! The folks fronting the house were very charming and the meal. Delicious. Well done! I couldn't agree more, by a stretch the most caring front of house staff for an Indian restaurant I've known. Tastiest jalfrezi's around aswell! I have been going to The Mogul Room for years because of the consistently excellent quality of food and service and have been surprised at a couple of the reviews posted on this site. Almost as if it is a different place that they have been to! In all the times that I have been there has always been a welcoming and friendly attitude from the staff who all do their best to ensure you are happy with your visit to the restaurant. There is an excellent range of food on the menu, which is all freshly cooked - and you can ask for specific additions or special changes if you prefer a dish in a certain way and they are always happy to provide this. I know they care about the opinions of their customers and if you have a complaint about the food or service - why not say there and then? They will do something about it. I could not recommend this restaurant more highly, the food is wonderful and the service is excellent - went there on Friday and it was just as brilliant as ever. What a fab Saturday night out with friends at the Mogul Room, Sheffield. The staff catered well for our group of 6, starting with a selection of mixed kebabs, followed by ample portions of Chicken Tikka, Tandoori Chicken and dishes from their Chef's Classics including Garlic Chilli Chicken and Lamb Zaara. All our food was served hot and the service was second to none. Thank you Mogul we will definitely be returning! This restaurant never fails to disappoint. At the bottom of my road, often end up going there at the end of a night and am now fed up. Poor service, dreadful food. Meat too tough, no flavour, badly cooked. Never going again. Extremely regular customer i.e once a week. The food never fails to impress! 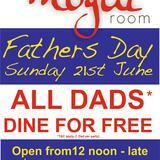 My husband and I have been regular customers at Mogul Room for years now. Last Friday we went there for our anniversary. The Christmas decorations are looking fabulous, lighting up the whole street. As usual the food was splendid and was served just as we like it. By far this is our most favourite Indian restaurant in Sheffield! Keep it up. Evelyn and John. 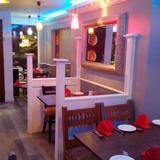 Fantastic Indian food in warm surroundings. Always busy so book a table. Great food! great atmosphere. Brilliant night out with the lads! Amazing food! I was really impressed on this visit to mogul room. Our waiter was friendly and the overall atmosphere was pleasant. I can't wait to go again. The only downside is I ate too much! Had a meal at the mogul room with a friend. Sat in a booth so we both had our privacy. The food was fantastic, I had the lamb Biryani and my friend had the chicken tikka masala. Will definitely return! used to be quite a good indian - went last night for first time in about 6 months and was very disappointed with the food, the lamb balti was more like a lamb stew no flavour what so ever, very bland can't believe we paid £10 for each main! That's it for me now put off this place for life!! exactly same thoughts - went last night for first time in a while and the lamb balti !! well my grandma's stew had more spices and flavour!